WE HAD A PAINTING PARTY! 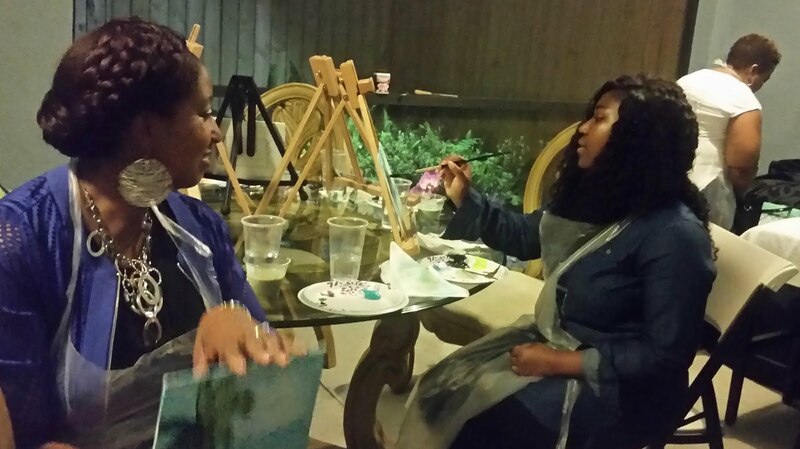 A good friend got hold of me a few weeks ago asking if I would teach an art class at her home similar to "Painting With a Twist" I agreed and she got 17 people together for the fun! 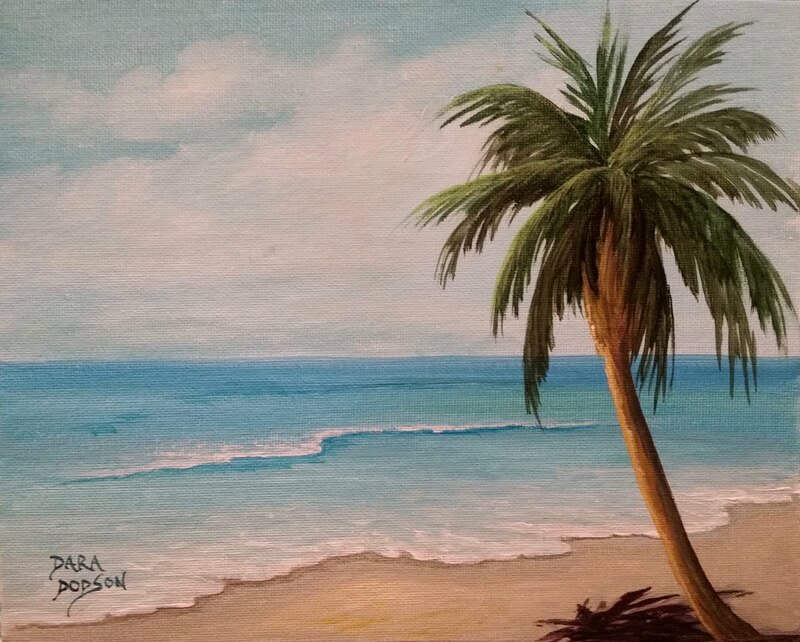 Held on her lanai, with wonderful goodies to eat, lots of laughter, and paint on our hands and faces, everyone managed to finish and went home with a painting of their own. It was so much fun that she has asked me to do it again in another town with more of her friends! I may just decide to do more of this type of thing in the future! I got a couple photos of the smiles and paintings to share with you. the painting we did in class!